Do great black metal bands only come from countries which are extremely cold? For sure not, as the headliner of this matinee-gig shows. This headliner is Noctem, coming from sunny Spain. However, at 4 o’clock in the afternoon, first it is time for the Dutch opening band Evil Oath. This formation of three guys, vocalist/guitarist M.C. Abagor, bass player Deamonicon and drummer Mexicution for sure pounds throughout the venue. Normally Evil Oath is a quartet, but rhythm guitarist Rydall wasn’t able to perform this show because of a twisted knee. This is a show that grabs you, especially for an opening band, both by its volume as well as its musical violence. This is something that goes through marrow and bone, almost literally. Evil Oath’s show is pretty static, but this is also a bit logical due to all three members having an instrument to play. Practically the only one changing his position sometimes is guitarist/vocalist M.C. Abagor. When focusing on his facial expressions he for sure shows that he really feels his music. Besides that sometimes a little bit of enthusiasm shows through their dark gig. The darkness created during this gig is, besides their music of course, also due to the nice lightshow and the smoke machine. Evil Oath also brought two reversed crosses on both sides of the stage. Besides M.C. Abagor’s nice screams sometimes clean vocals can be heard, which provides a nice variation to their music. Another thing that is standing out is the great drumming of Mexicution, he for sure does a really good job. Evil Oath’s show was definitely a nice one to start this afternoon with! After Evil Oath’s opening show and some time changing over the stage, it is time for the band that will play a home show today. It is the Utrecht-based band Wesenwille, consisting of guitarist/vocalist R. Schmidt and drummer D. Schermann, together with live Wesenwille members M. Ruijgrok on bass and L. Caufijn on guitars. Wesenwille’s show is very energetic and overwhelming from start to end. Their guitar-driven black metal pounds through dB’s at furious speed. Now, more people are inside compared to Evil Oath’s gig. The drum-sound of D. Schermann’s drums is really intense, as well as the misanthropic screams of R. Schmidt. At a few moments Wesenwille’s show contains a bit more atmospheric sound, but still at a pretty high speed, so this is not at all a point of rest. The gig also has room for some longer instrumental parts. When Wesenwille’s show is coming to an end, a lot of noisy guitars can be heard as a final of their show. Wesenwille had very few, almost none, interaction with the audience, the audience also didn’t applaud during their show. However, this doesn’t mean it was a bad show. Probably this is Wesenwille’s way of performing black metal, with almost no interaction. From the perspective of the audience, the very loud applauding at the end of their show for sure shows that the audience really liked the show, which was also a very overwhelming experience. After another period of changing over the stage is set for the Spanish guys of Noctem, today’s headliner, consisting of vocalist Beleth, guitarist Exo, bass player Varu and drummer Voor. The shows of Evil Oath and Wesenwille already were quite pounding and energetic, but Noctem delivers this in a much bigger way. These guys play a very nice show, both musically as performance wise. They all have their corpse-paint on, which especially stands out on vocalist Beleth, due to the penetrating looks of his eyes and intense performance. From the first moment he appears on stage, -the other band members already being there-, he enters the stage stooped, like some kind of monster, and once on stage, he performs like a true maniac. His many, wild moves, the penetrating look in his eyes, his great performance and of course his misanthropic screams are what makes Noctem’s show very special. Of course, the other members of Noctem are also part of this, but Beleth’s performance is standing out most. 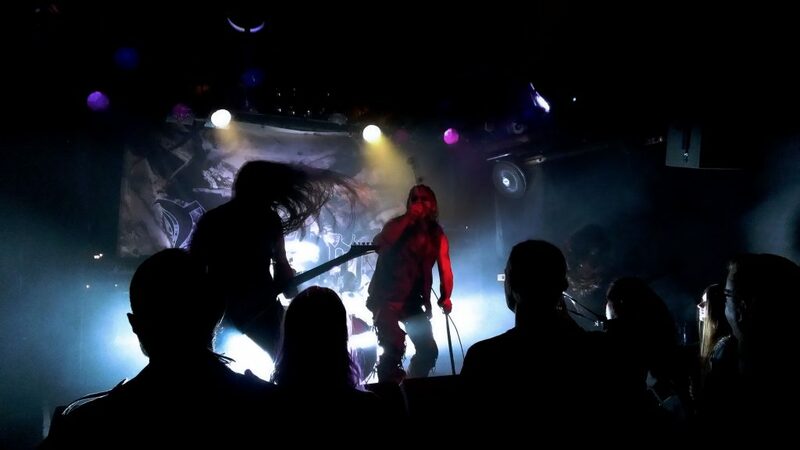 A Noctem show is like your worst nightmare coming true on stage, as it should be! During Wesenwille’s show the most people were inside the venue, probably because they were the band coming from Utrecht. However, those people that left before Noctem went on stage sure did miss something great. 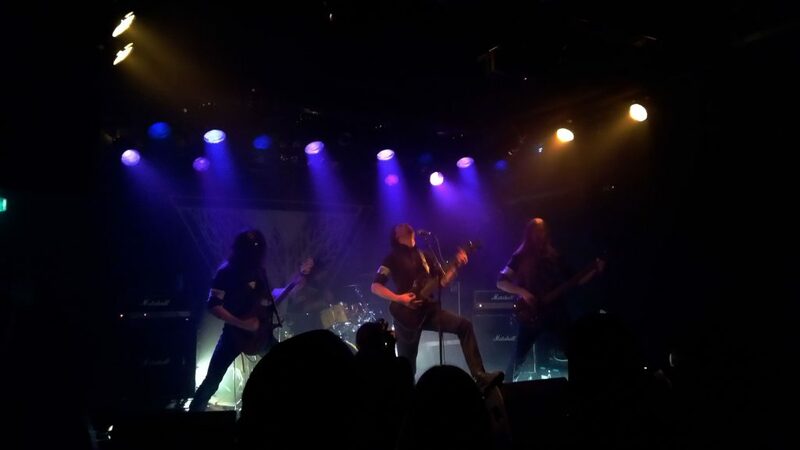 Both Evil Oath and Wesenwille delivered a nice gig, but Noctem surely shows that they deserved being today’s headliner. 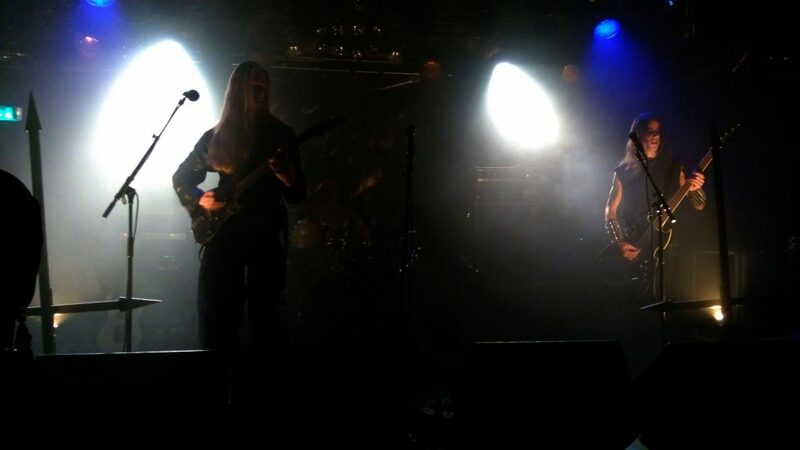 This was a very nice afternoon full of black metal in Utrechts great venue of dB’s! Read our review of Noctem’s album Haeresis here and our interview with their vocalist Beleth here.